The first known ancient Egyptian queen was King Narmer's wife, Neithhotep. She is the first woman known by name in history. Her name means "Neith is satisfied". Neith was the goddess of war, and other queens of the future would have Neith as part of their name. Neith was also the goddess of the Red Crown, which symbolized Lower Egypt. So perhaps Neithhotep's name does tie her to Lower Egypt. Her tomb - the Great Tomb in Naqada - for certain was so big and splendid, that she most likely was Naqada royalty. And this again may be the reason Narmer married her - to unify the country. She might have been the daughter of a defeated enemy, and this marriage tied the two royal houses together, preventing future uprisings against the new king. 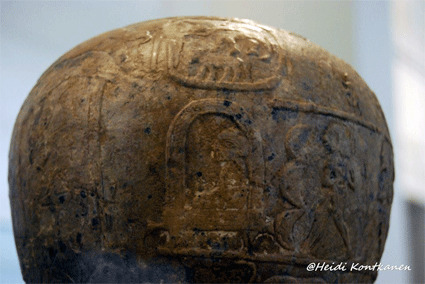 On Narmer Mace head is a depiction of a mysterious shrouded figure in front of Narmer (above, in the middle of the picture). It has been suggested the mace head was a depiction of this unifying marriage, and that it was Neithhotep sitting under the canopy. Still, it was not the habit of Egyptians to give illustrations of weddings. They hardly ever even mention weddings. Also, when we consider the fact that Egyptians had the habit of wrapping their god statues in linen bandages, it seems more likely that this mysterious figure is not the queen-to-be, but instead a shrouded deity. And perhaps the festivities depicted in the mace head are Narmer's heb sed -celebrations. Unfortunately Queen Neithhotep's tomb has vanished. It had been excavated at the end of the 19th Century, and already badly eroded by then because it was left to the elements, it was re-excavated by John Garstang in 1904. After this it disappeared quickly. Inside the Great Tomb were found objects with Neithhotep's name. Her titles are "Consort of the Two Ladies" (these refer to the protective goddesses of Egypt, and were a title of the king), and "Foremost of Women". 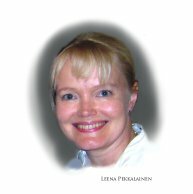 She does not carry the usual titles of "King's wife" or "King's mother". These honorary titles only appear during the 2nd Dynasty of Egypt. a ruler of egypt for her son? The importance of this ancient Egyptian queen is shown in the way her name was written: on one Naqada seal her name is written inside a serekh, which was the way the kings' names were written. Where the king had a falcon perched on top oh his serekh, Neithhotep had a pair of crossed arrows. These arrows symbolize the war goddess Neith. Above you will see Heidi Kontkanen's photo from the Metropolitan Museum of Art. It shows a fired clay jar sealing with Neithhotep's name (look closely and you will see the crossed arrows - if you wish to see the sealing in more detail, go to the MET page.). Because of her name was written in such a kingly manner, it has been speculated this first known ancient Egyptian queen might have been acting as a ruler on behalf of her son Aha. And this, of course, would mean that Narmer died before her, and before Aha was old enough to rule. Also, her name has been found written together in clay dealings with the name of Hor-Aha. This also may tell us she did rule together with Aha. 1. Who was Queen Neithhotep married to? 2. What does Neithhotep's name mean? 3. Where was Neithhotep buried? 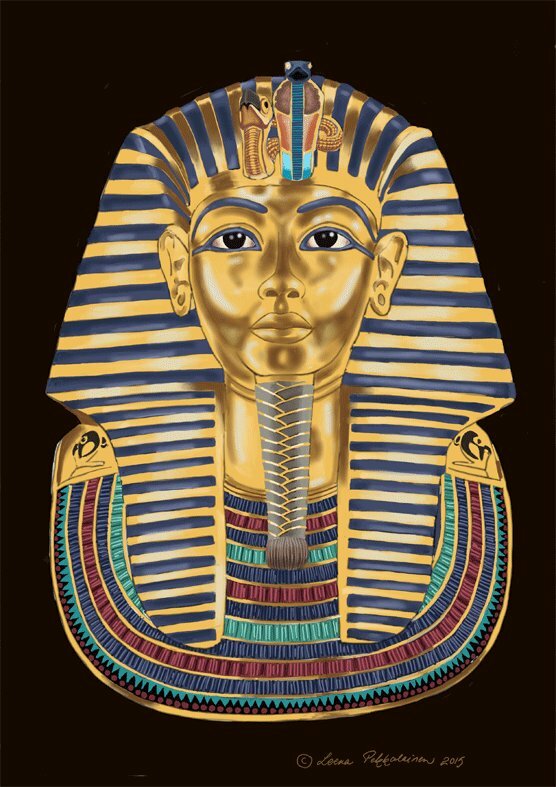 Tutankhamun tells about his life - and death. 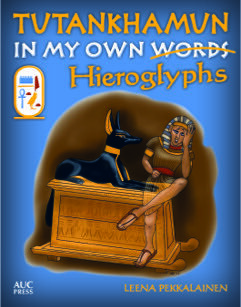 The book that was chosen to travel the world with Tutankhamun's treasures world tour of 10 cities from 2018 onwards. 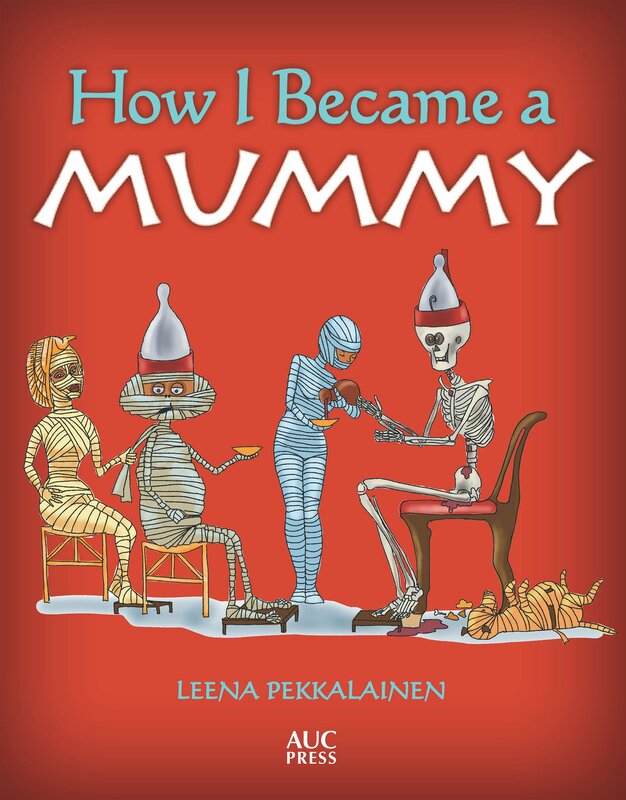 Mr Mummific tells all about how he became a mummy. 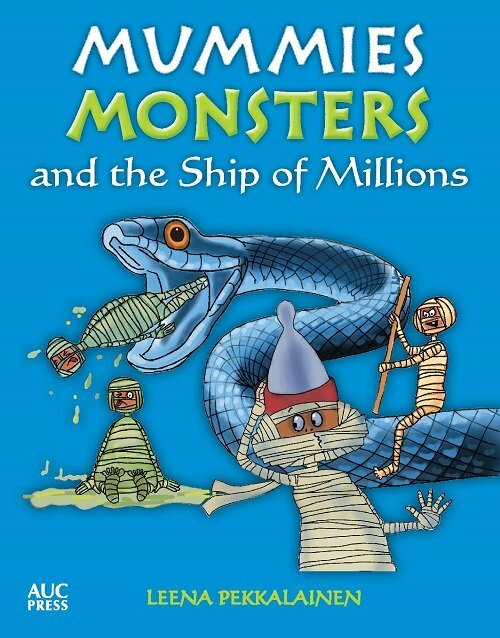 Mr Mummific's hilarious journey through the 12 caverns of Duat to reach the Field of Reeds. Story of the search for one of the oldest legends of humankind, intertwining modern times and ancient Egypt. preview Nephlim Quest 1: Shaowhunter online. preview Nephlim Quest 2: MOON DAUGHTER online. Subscribe to my reader list to receive free books and my newsletter. Step by step coloring instructions here. Artwork is copyrighted by the artist. Articles are copyrighted by their writer. No reproduction is permitted without written consent of the site owner.